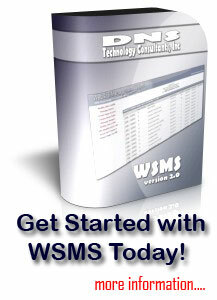 In order for the WSMS to operate correctly, certain PHP variables must be incorporated within the design of the web page to display data in the correct areas. It needs to be said, that the WSMS system operates with PHP scripting, so your webpage needs to have the extension of .php in order to incorporate the variables. Also, it is possible to operate the entire website with a single webpage. This can be achieved since all of the data and content will be pulled from the database. You can have multiple page layouts, but this is not necessary. You can view a sample webpage with the variables within the page here.